Split wings apart into 2 sections and slash a slit in the flat part of the wing for quicker cooking. Combine chile powder, salt, black pepper, cayenne, and allspice in a bowl and sprinkle liberally over the wings (you don't need to use all of it). Refrigerate for at least 1 hour. Combine Pickapeppa sauce, butter, honey, Tabasco, and pepper flakes in a medium saucepan over low heat until it is well incorporated. 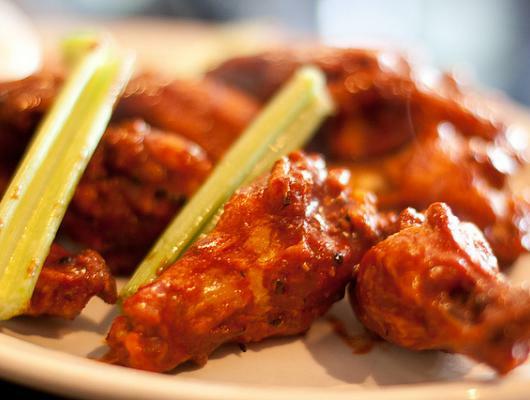 Let wings come to room temperature. Prepare grill for medium high direct heat. Grill dry rubbed wings for 20-25 mins, constantly turning the wings with tongs to maintain good grill marks without over-charing the wings. 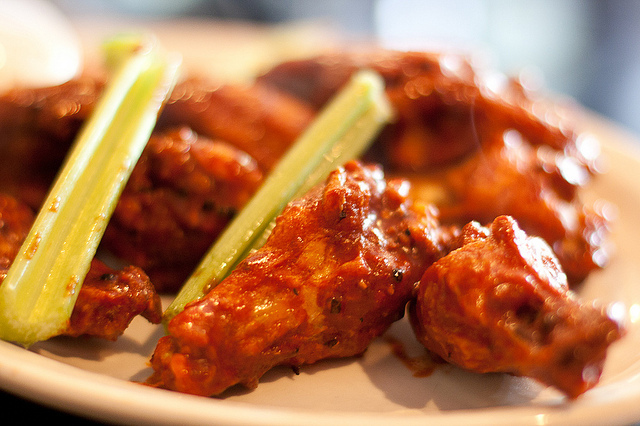 Take the biggest wing after 20 mins and take a bite out of it, and if the juices run clear, they are done. Place wings in a large bowl and toss with the jerk sauce. Serve with blue cheese dressing and carrots. I've made these wings for numerous Celtics, Patriots, Redsox, and Bruins games. There a tad on the spicy side, but still very good. If you don't have a grill, fry the wings at 375 in peanut oil or corn oil (don't use vegetable, your house will smell like fish). I hope you enjoy them with friends and family on your next game day!